Let’s talk about the no contact rule … the only “rule” we really support here at A New Mode! Breakups are brutal, there are no two ways around it. You feel empty and broken, and there’s the pain … so much pain. The pain of no longer having the person who you love. It doesn’t get much tougher than that. You’re also gripped by confusion. There is a part of you that desperately wants him back, and there’s another part of you that wants to move on. Most of all, you just want to feel better and one of the biggest post-breakup mistakes is thinking that the only way you’ll feel better is if you get him back. You’re in a massive amount of pain and just want to make it go away. But it doesn’t come through staying in touch with him or continuing to see him. That only makes things worse. What solves everything is following the no contact rule. Read on to find out what it’s all about and why it always works. Whether you want to get over him or get him back … there is one thing you need to do. You need to make a clean break and cut off all communication with him. 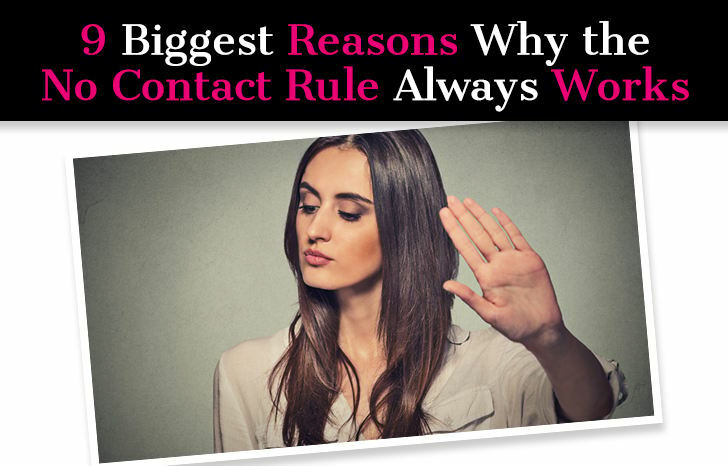 You need to follow the no contact rule. I’m sure you’ve heard about this before… and for good reason, it works! After a breakup, your ex is essentially heroin. He is a drug and you are a junkie and you’ll do anything to get your fix even though you know it’s terrible for you. 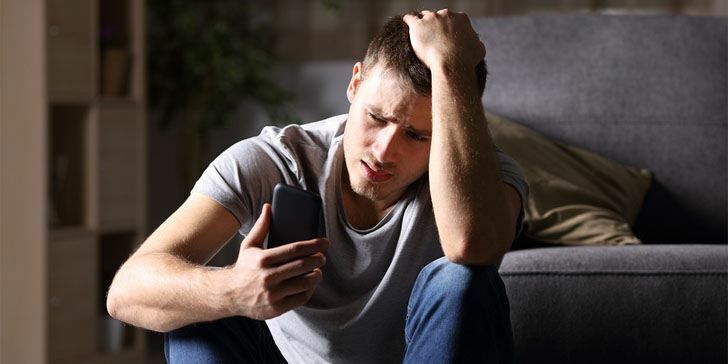 Maybe he broke up with you … you are in literal agony… then he messages you a few days later wanting to get together, and boom! You’re high and it feels amazing. But then he’s gone again and you go through withdrawal. But then he texts you! Ahh, sweet relief … again followed by crushing disappointment. He can give you a your “fix” through many means- calls, texts, face time, snapchats, tweets , meeting for coffee, meeting for some in-between the sheets action. Just like any junkie, you need to detox in order to recover. And the best way to detox is to quit cold turkey. You will never move on with him right there in front of you. You also will ruin your chances of getting back together and making it last this time. When a relationship ends, all the reasons it ended are still there. The issues didn’t magically repair themselves. If you get back together because you miss each other nothing will be different and you’ll just go through the same cycle of breaking up and making up… and this can go on for years! Who has that kind of time to waste? 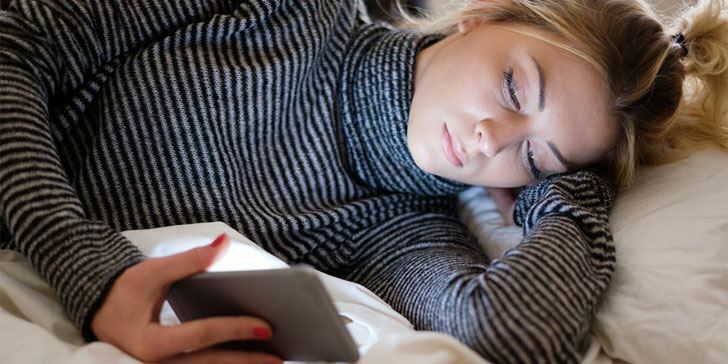 Having a no-contact period will give you perspective and clarity, and these two things give you power. They give you the power to choose what is best for you. Maybe you and your ex will get back together … maybe not. But the answer is definitely not if you don’t go through a period of no contact. What does no contact mean? It means no contact. I recommend a period of at least four weeks. Yes, I know that can feel like an eternity, but it works if you work it. Now that we’ve discussed why you need to do it, let’s talk about exactly why it works. A breakup can be a highly emotional experience, you need time and space to detox from it all. You need to feel your feelings, you need to mourn, and you need to just be with yourself. It’s a process. And this process will be interrupted if your ex keeps coming in and out of your life. Don’t fool yourself: this will mess with your head. It doesn’t mean he’s trying to mess with you intentionally. He’s probably also hurting and he misses you and he wants to make sure you’re OK. Engaging with him is the surest way to not be OK. You need time to process. Where feelings are involved, it’s almost impossible to be objective. You need the flames of the feelings to simmer down before you can start to see things clearly. With a little bit of distance, you’ll be able to see where things went wrong. Breakups usually have a surface reason and a real reason. A relationship doesn’t unravel overnight, it happens steadily over time and is the result of a buildup of problems, resentment, and negativity. You didn’t break up because you had a big fight … you had a big fight because there was a lot happening beneath the surface causing the relationship to disintegrate, and this manifested as a big fight, or maybe several fights. There were underlying issues — you may not even know what those issues are until you step outside of it. Distance will give you objectivity. This is impossible to obtain when you’re in a highly emotional state. As they say… time heals. But as I say, it isn’t a passive process, it’s active. Time won’t heal anything if you continue to see and speak to your ex. The combination of time and space is what heals. The no-contact period gives you time to go through the stages of grief, and this is a necessary part of healing. You can’t get over him if he’s right there in front of you. All you’ll focus on is how badly you want him and how much you miss him … and not on whether he’s the right guy for you, which is what you should be thinking about. You may discover unexpected things. Maybe you notice that you actually feel happier and more like yourself without him in the picture. The point is, you will never extinguish your feelings for him if he’s right there lighting the candle every time it blows out. You might not be ready to date at this moment, but you’ll be better able to see opportunities when your ex isn’t blocking your view. When he’s out of the picture, you open up space for someone else to step in. Even if you don’t actually pursue anything, you will be better able to see what’s out there. You may find you get excited about the prospect of dating someone new… of being in a healthier relationship. And I just want to share a quick cautionary tale. Many moons back, I was entangled in a toxic relationship … and was devastated when my toxic partner broke up with me, although I could clearly see that it wasn’t working. He suggested we go through a period of three weeks of no contact. After that, we would reassess. Three weeks?! That’s like an eternity! I felt like I physically wouldn’t be able to function without him in my life, I didn’t know how I would survive. The beginning was tough, but soon enough I started to feel really good, I started feeling almost like myself again. I felt free and like a huge weight has been lifted. And in an unexpected twist, I started dating someone new. He just kind of plopped into my life and he was wonderful. He was nice and normal and stable and so, so sweet. But almost as if my love life was rigged with an alarm, the second I was happy and moving on, Mr. Toxic Ex swooped right back in. He missed me. He needed me. He wanted to see me. And so I gave in … because I couldn’t handle the hardest part of the no contact rule… the part where he reaches out to you. Long story short, I ended up getting back together with Toxic and it was a huge mistake. The second breakup was even more devastating and did a huge number on me. Don’t make this mistake! You might think it’s no big deal to meet up with your ex for a drink … or to show up at his door when he drunk dials you at 2 am … but these are massive mistakes. For one, you risk getting into what I call a post-relationship relationship, which I consider to be the worst type of relationship. You talk sometimes, hang out sometimes, but you’re in relationship no-mans-land. None of the issues ever get solved. You get into a pattern of breaking it off, missing each other, getting together, feeling high on infatuation, realizing (again) that it isn’t working, breaking it off, and repeating the cycle. This has toxic written all over it. You need a break. You need to process. You need to move on. If you really want him back, you may mistakenly think that you’ll have a better chance if you go to him when he wants to see you but the opposite is true. You’ll have a better chance of getting him back if you move on, if you heal yourself. If it didn’t work, it won’t work unless something significant changes … and change takes time and takes work. Missing someone isn’t enough for a relationship to last. Think of yourself as Humpty Dumpty after his great fall. You need to put yourself back together. You need to get back in touch with who you were. It’s easy to get lost in a relationship, especially a bad relationship with all its drama and highs and lows and fights and makeups. Chances are things were bad for a while, and chances are it had you feeling really bad. You will keep pouring salt into the proverbial wound if you stay in touch with him. You need to spend time working on your relationship with yourself. This is the key to having successful relationships with others. And this just won’t be possible if you’re still in close contact with him. I know how you feel. It literally feels like he’s oxygen and you will cease to exist without him. But you will go on! And life will go on. And you can live without him. You might even find you live better without him. But you won’t know that unless you experience life without him. You need to re-learn what you’re made of, you need to smile again without him. You need to stand on your own and sure enough, you’ll find that you can function, possibly even better than before. So let’s say you don’t follow the sage advice in this article and you stay in touch with your ex … and he starts seeing another girl. How does that feel? The only way you’ll know what he’s up to is if you don’t follow the no contact rule, or if you do, but you break the rule within the rule, which is not to check up on him on social media. Even if he isn’t the guy for you, seeing him with another girl will be profoundly painful. If you follow the no contact rule, you spare yourself from this sort of agony. You keep the focus on you, not on him. Really, the no contact rule is about you and about re-connecting to yourself. An added bonus is that it will make your ex miss you. But please don’t use it as a means to get him back. Can it work? Yes, absolutely, it does all the time. But it will only really work if you do the work. As in, you work on yourself during this time and gain all the benefits of the no contact period. We all have a tendency to idealize the past, to romanticize what we don’t have anymore. When you’re not a presence in his life, this is what will naturally happen. But again, it won’t work out unless things change and change starts from within. It starts with you because you’re the only person that you can control. So take the time to work on yourself, to get back to yourself, to just be by yourself, and if he reaches out when the no contact period is up (minimum of four weeks), then you may have a shot the second time around. I’m not saying it’s impossible to get back together with an ex. I mean, I married an ex boyfriend, so I’m all for making it work the second time around! But in order to get him back, you have to first get over him. It may sound counterintuitive, but that’s just the truth of the matter. And if he doesn’t want to get back together after a period of no contact… then at least you’ve already started the moving on process. You may even discover that you don’t want to get back together with him after your period of no contact. No matter what the outcome, it is always in your favor and that is why the no contact rule always works. MORE: Does The No Contact Rule Really Work? Any idea why she texted me and vanished? This is confusing and I really want to understand why.. Thanks and I appreciate any help! My ex girlfriend broke up with me 2 and a half weeks ago. She broke the news of the break up and let me know she is moving to Boston and got a new job. I had no clue she had even applied for a job in another city. She says she still loves me and I’m her best friend but doesn’t know if that’s enough. I have horrible anxiety and had a major attack and reach out to her for help. I have now gone to a therapist and gotten medicine for my anxiety and will continue to go. I have now realized how much my anxiety affected our relationship. I haven’t spoken with her in a week. She leaves for Boston in about a week. Do I reach out to her for one last dinner to wish her good luck and goodbye or should I continue no contact and not say goodbye? I have been following the no contact rule ever since the breakup happened. I’m still on the process and I must say that I feel a little better now. I will need more time to heal, 6 years of togetherness and it took a few days for her to turn me into a stranger and move on. This rule is just for women? Really? Only men are the problematic and abusive side? Hello. 2 years in and we completely lost our relationship somewhere. We own a travel trailer together and I have an off road vehicle at his house. Should I settle all of that before no contact? I’m stuck because if we settle it before, it will for sure be final. But if we don’t, he will have a negative reason to contact me. Also, of we do not settle it before no contact, is it ok to ignore him if he does text to figure it out? I think the psychologists and agony aunts who recommend this as a ‘one size fits all, fix’, need to be appreciative of the fact there are so many different people out there,,with so many different circumstances, that need to be taken into account. Blanket advice for break-ups cannot hope to be correct advice for more than a third of the population, at most. People who have OCD or other mental health quirks or issues, can end up taking it literally and in our case, for 24 years!! In my ex’s case, it has resulted in the most pathetic display of childishness and irresponsible parenting, I could ever have imagined. He rarely visits our son, doesn’t buy him anything or help him with things. The worst part is, he still insists on equal control – pushing his weight around on decisions over our son’s life but doesn’t discuss anything with me first and goes to the agencies who do the 24/7 care, completely bypassing me. Telling them not to tell me he’s said this and that! I appreciate my case is different to ‘the norm’ but those with kids and disabled kids or weird ex’s, are out here, do also still need to be counted and considered before ‘one size fits all’ advice is dished out randomly, as the correct way to behave. My life is a nightmare and my ex makes it impossible for me to just get on with just being a good mum and having any real quality of life with my children. Interfering but never caring. He’s one very bitter, twisted, self centred old man and uses this as a control and manipulation that was in our marriage, against all that I am. Even now…He doesn’t care that it’s not good for our lovely children. I wish he would be a good and caring Dad who will discuss things amicably with me for the sake of our children. Failing that – Be a good Dad who leaves daily decision making to Mum. Failing that – I wish he’d go away and leave us alone. So that I can be a good and devoted Mum to my adorable children, without all his meddling, destructive ways and let just me pick up the pieces for this family. Hi Sabrina! I got back in touch after 30 days of no contact and he told me he’d “met someone.” It was absolutely crushing. It’s been about 2 months of absolutely zero contact since then. I have no idea what he’s up to or if he’s still seeing this rebound, but I miss him every day and it’s a struggle not to snoop his social media. I don’t know if I should reach out or just try to move on and let him reach out to me (maybe? someday? I wish I knew what he was thinking). Any advice? Thanks! Definitely, do NOT reach out. I think you need to focus on moving on. Part of why the no contact rule works is because it helps you move on, it gives you the space and distance. But you also need to be strong and not look at his social media profiles because that will only set you back. you never know how the story will end but for now you absolutely need to focus on yourself, focus on loving yourself, and focus on moving on rather than on getting him back. I know it’s hard, I’ve been there, but you’ll get through it! Stay strong!